Indian athletes disappointed on the opening day of the World Athletics Championship as they failed to begin their campaign in the World Athletics Championships on winning note. 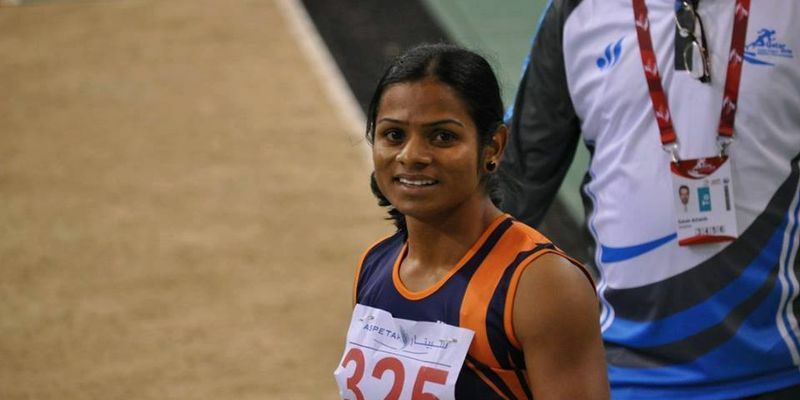 Sprinter Dutee Chand got quota entry for the event but failed to match up with the qualification standard. In heat number five of the women’s 100m first round, she finished sixth with a below-par time of 12.07 seconds. Her season’s best timing was 11.30 secs. She finished 38th overall among 47 athletes. "I should have been told early that I may qualify for this World Championships and I would have done a better preparation. They told me at the last minute that I will get a quota entry. After the Asian Championships in Bhubaneswar, I did not take part in the National Inter-State Championships in Guntur as I was not well. I was not doing proper training," she said as reported by PTI. Germany’s Gina Luckenkemper finished on top which helped her make the semi-finals with 10.95 seconds while Marie-Josee Talou and Murielle Ahoure, both from Ivory Coast, followed with 11.00 secs and 11.04 secs respectively. Reigning Olympic champion Elaine Thompson of Jamaica also went into the semifinals in fifth place with a timing of 11.05 secs. In the men's 400m first round, Anas was in the final heat. He managed to finish in 45.98 secs and finished at the fourth in his heat. He failed to replicate her season's and personal best of 45.32 secs in the important event. "I could have been in the top three but lost the chance in the final 300m. I was running good in the first 100m but could not maintain the momentum. Now I will have to do well in the relay (men's 4x400m)," he told after the race. "I am disappointed. Now I hope to do well in the Commonwealth and Asian Games next year," he added. Swapna Barman was the third Indian in the fray on Saturday. She finished 27th overall out of 31 participants in her first event. She managed 14.14 secs timing in 100m hurdles and then failed to perform in the high jump which was her strongest event. She could only clear 1.71m. She scored 959 points from the 100m hurdles and another 867 from the high jump for a total of 182 points to be at 27th spot after two events.